Dana Quick will speak to law students at the University of Toledo regarding labor and employment law and corporate bankruptcy, specifying what it takes to be successful in these practice areas. Drawing from her experience in these fields, Dana will also give advice to new attorneys who want to pursue this kind of legal work. Dana practices labor and employment law and workers’ compensation law at Bugbee & Conkle and has a background in corporate bankruptcy. Mark Barnes will be the guest speaker at a Black History Month Luncheon at noon today at the University of Toledo, College of Law. Mark will be speaking about the role of African American attorneys in today’s environment. 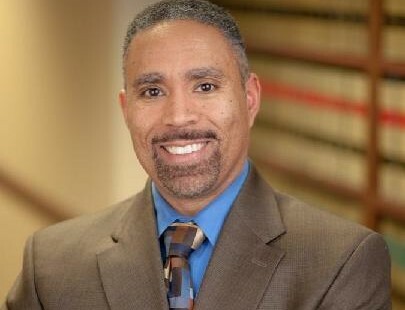 Mark is an accomplished African American attorney himself, who has practiced at Bugbee & Conkle for 15 years, and previously with the Ohio Attorney General’s office. You could win an iPad Mini, a $150 gift card to Hollywood Casino Toledo, or a $25 gift card to Panera when you attend our FREE Annual Workers’ Compensation Seminar at the Hilton Garden Inn, Levis Commons in Perrysburg, Ohio. The seminar is March 3, 2016 from 12:30 – 4:30 and you can earn 3 HR General Credits. Watch a clip from our 2015 Annual Workers’ Compensation Seminar! Ohio Bureau of Workers’ Compensation will host its annual regional safety and health conference, the largest in the U.S., March 9-11 at the Greater Columbus Convention Center. This free event offers hundreds of educational sessions and free continuing education credits to Ohio employees and employers in an effort to prevent workplace injuries and achieve better outcomes for injured workers.